Another Brick in the Wall: Tabung Haji: Empress Dowager or Special “Perompak” Vehicle? 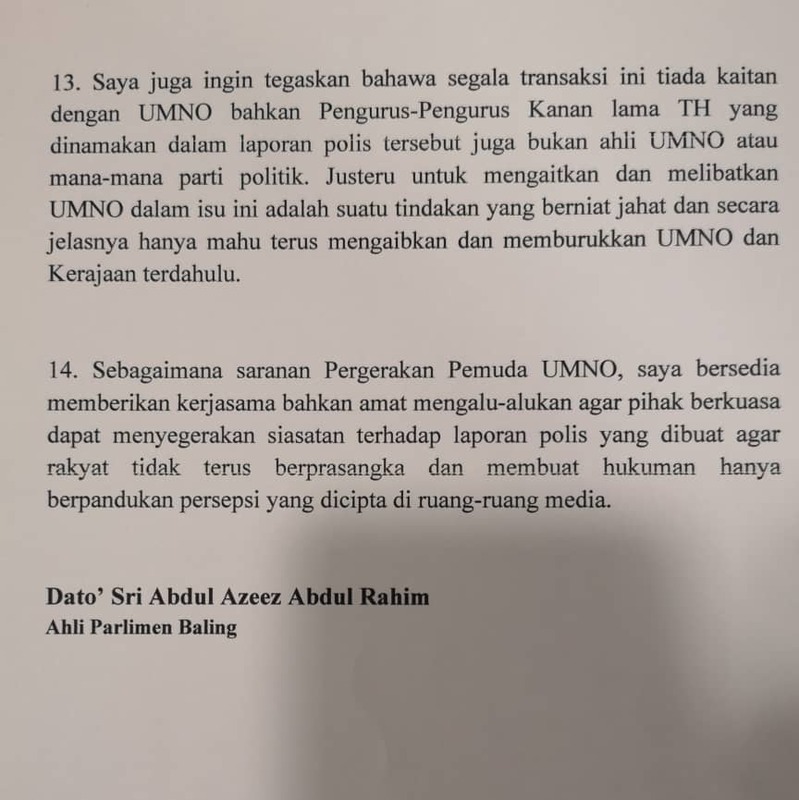 Everyone at the table, including one close to the current government, agreed that the appointment of Dato Azeez Rahim as LTH Chairman was a grave mistake by Dato Najib and the root cause. We did not agree then but was dumbfounded when Tun Dr Mahathir gave his consent for Azeez to accept the appointment. It was happier days with the then and now PM. Nevertheless, Dato Dr Asyraf Wajidi and few PAS politicians are right to advise not to succumb to the trial and judgement by the media. And, the gentleman agreed with us that Azeez is not stupid. 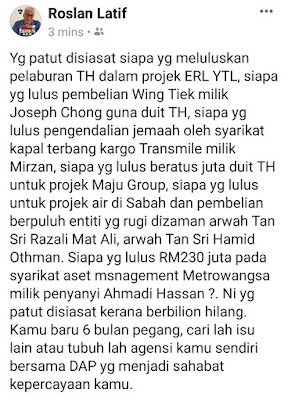 The PKR supporters and there were many within LTH's investment operations leaking projects Azeez lobbied for. But he does not decide alone. He may lack in higher education, but he was aware it is not easy to push his way through the layers of investment panel, commitees, and the 10 membered Board of Directors to give the final decision. Only police report on YTH? If Azeez did any nonsense, it will be elsewhere and not at LTH. After being repeatedly remanded by MACC for questioning in September, no charge have been made against him in any court. 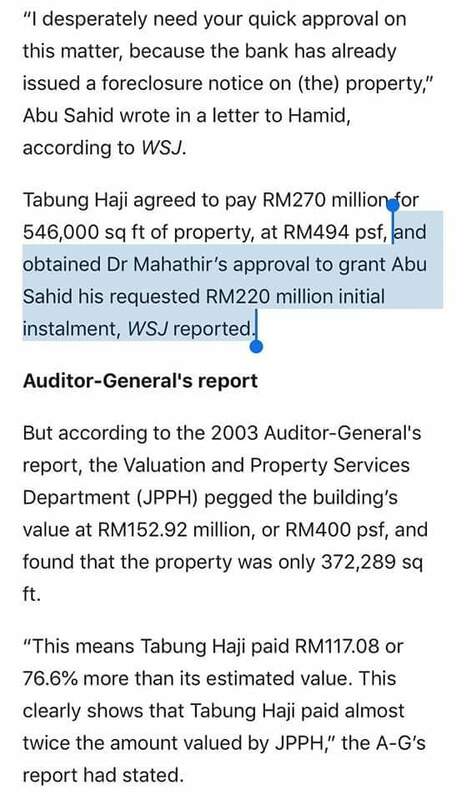 All the talk he was being investigated for wrongdoings at LTH, but new management only made a police report of him for Yayasan Tabung Haji receiving RM5 million donation from UMNO, among the many. Many parties in LTH may have missed out on the clause in YTH’s M&A on no involvement with political parties. Unless someone stole money or there was money laundering or CBT involved, it will only be a slap on the wrist from ROS or Company Commission, whichever it is. It was obviously directed towards Azeez. Is it confirmation there is no case to pin Azeez on yet? 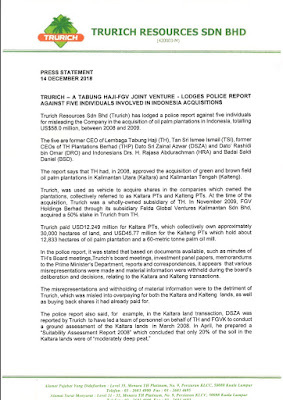 The second police report made by LTH on the sales of Indonesian plantation is something to be concerned. While LTH claimed they got a good price, it is heard there was problems in securing the payment after Memorandum of Transfer was signed with only 5% paid and was still problematic after discount was given. However, it is still one side of the story. Any professional manager would not make such a blatant mistake. Quite sure there are valid reasons for the various actions. Come to think of it, alleged stolen money is redirected into personal account. Nevertheless, has the reporters and journalists pondered and asked the right quetions to LTH. Why? What actually happen? When? How? So on. 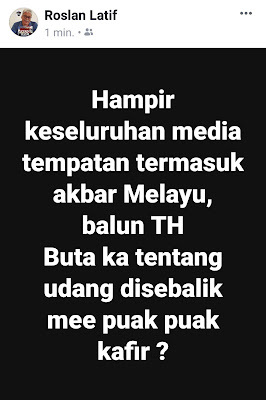 Few social commentators such as Ikram Al Banjari and Amanah's Mohd. Fikri Abd. 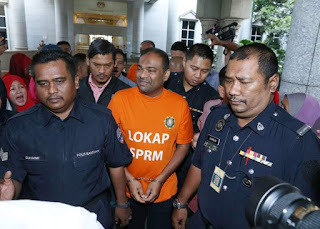 Rahman swallowed every story published by mainstream media hook, line and sinker to then viral it without giving much thought and effort to find out the other side of the story. 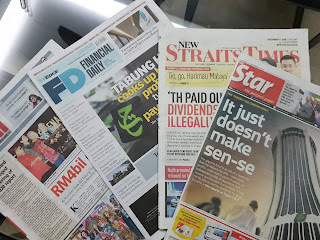 Sometime in the week after the Singapore leak, we told an ex-banker at an Arab restaurant in Ulu Klang over late lunch of our suspicion and wish to comment of these development. Our concern is LTH has more pressing problems. The value of their investment in the stock market has fallen drastically, and the fall in commodity prices affecting their plantation. The cost of Haj has risen significantly and LTH is already bearing more than 50% of the cost. Why then is new management playing “politics”? There is a known member on the new Board of Directors renown for devious and highly skilled office politics. However, it is not fair to accuse the person. 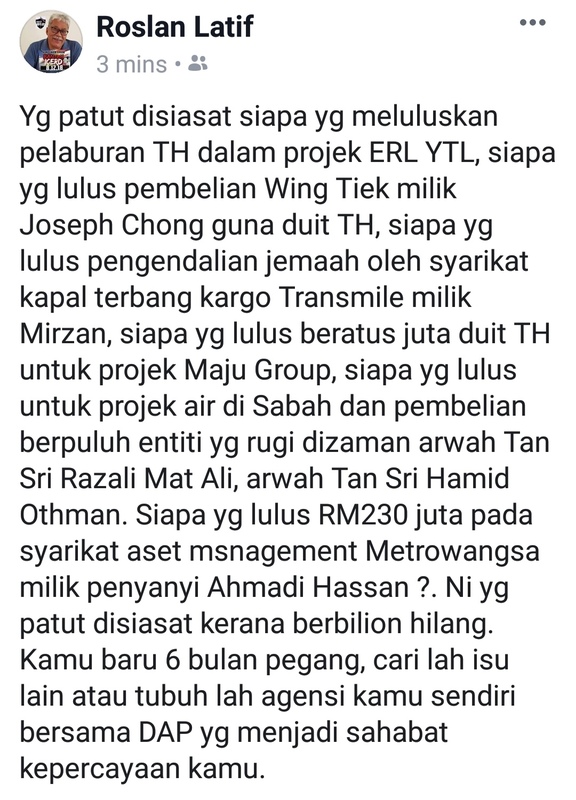 Nevertheless, it is known in close circle that the new CEO of LTH, Dato Zukri Samat has issue with the previous management of LTH. 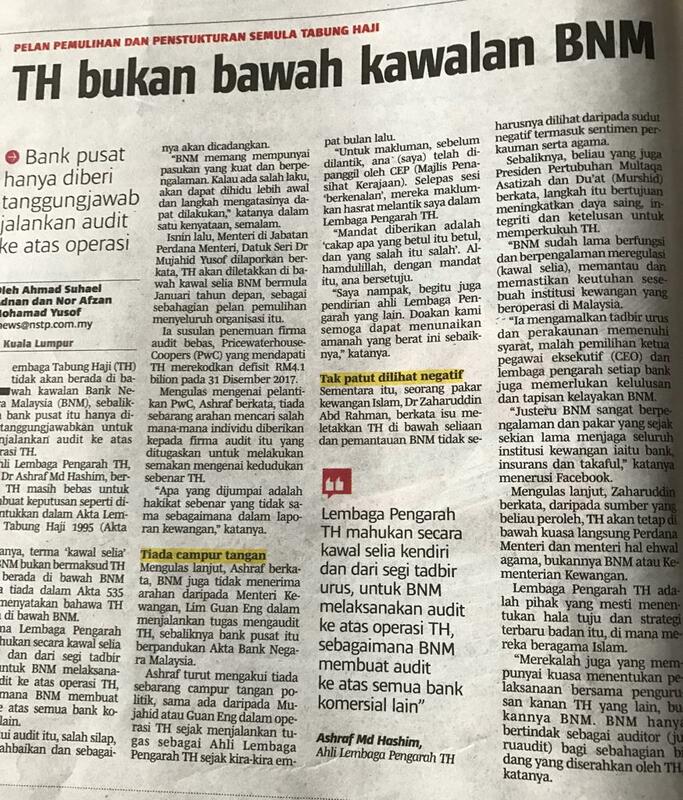 Few years ago, as major shareholder of Bank Islam, LTH management then wanted to have their people to head the Bank and remove Zukri, who was then CEO of BIMB. However, an Empress Dowager resisted and insisted on Zukri to have his expiring contract extended. 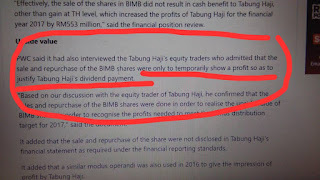 By cavorting with BNM, she managed to not only reject LTH's proposed candidate, but got former LTH CEO and former BIMB CEO, Dato Johan Abdullah kicked out of the Board of Directors using frivolous justification. 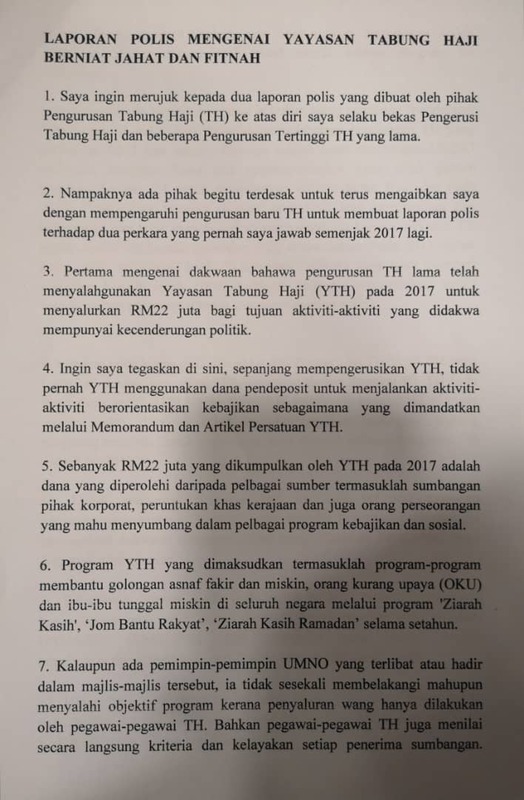 Apparently, there were other members of BIMB's senior management kicked out for disagreeing with Zukri’s policy to make excessively stringent loan provisions. Zukri was behaving as Danaharta management instead of CEO of a commercial Bank. It could explain BNM's preference for Zukri. It was the years there was much discussion in the industry over BIMB losses. The losses was politicised by then opposition as failure and ineffectiveness of then government. But it was LTH who got the blame. Remembered Dato Mahfudz Omar of then PAS attacked Ismee in Parliament using wrong facts. Someone was saying the Empress Dowager with the strong link to BNM was brought into LTH. However, there will be those who disagree and view current BNM Governor could be a more appropriate Empress Dowager. If it was Zeti that approved Zukri, she would have been the Empress Dowager. The Empress Dowager could be either singular or plural. 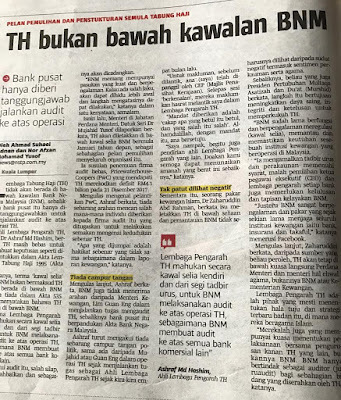 It leads to a perception that the current management of LTH is getting even with previous management of LTH thus repeating the same likely scenario at BIMB. 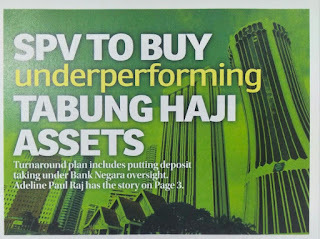 The ex-banker then told us about a plan to do a Special Purpose Vehicle (SPV) to take out the assets with substantial capital devaluation from the books. It was reported in the Edgedaily (see above). We reminded him of Danaharta and Effective Capital Sdn Bhd set-up to buy up CLOB shares. The Modus Operandi could be similar. In the past, SPV had always been suspected of having hidden motive and seldom dubbed a legalised Special “Perompak” Vehicle. Current Malaysia Airlines Berhad (MAB) is a SPV too. 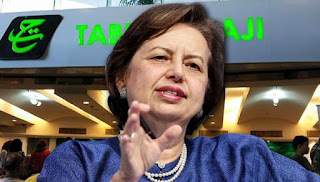 Then, we told the ex-banker of Zeti’s 2015 letter to the then Minister-in-charge, Dato Dr Jamil Khir and LTH Chairman, in which the previous management of LTH refuted her claims as in correct. Zeti was applying banking criteria on a statutory body. The current happenings looked to be from BNM's play book. Then, we were told of the plan to turn LTH into a deposit taking company. Our reaction was it will destroy LTH. The ex banker said his LTH contact alerted him of an upcoming PC. So we should wait before writing. 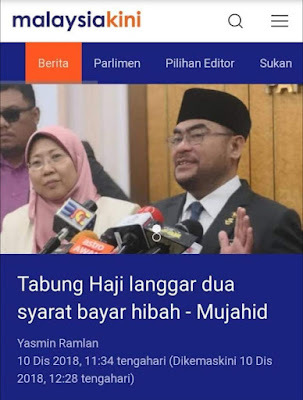 Mujahid Yusof Rawa gave a statement with the allegation LTH was losing and for few years, the hibah paid was haram or illegal dividend given out. He mentioned of a Price Waterhouse Report as the basis. More in The Star HERE, HERE HERE, HERE and HERE . 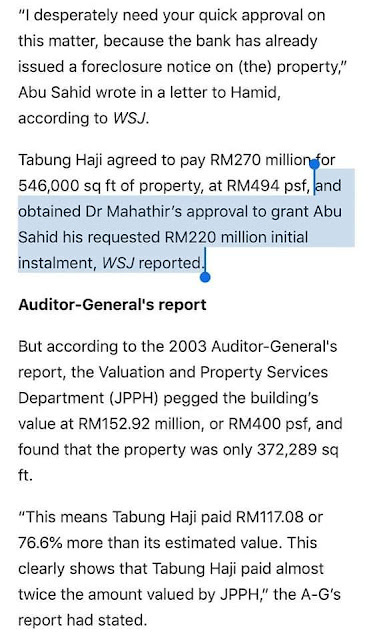 Mujahid did not mention there was an Ernst & Young report, which was requested by previous management, attached to the PWC report. The EY report given to the previous management acknowledged asset as more than liabilities. Salahuddin Hisham commented on the EY report and felt LTH do not need to pay dividend but wait out the market [read FB here]. An academic HERE commented SPV as not necessary. Mujahid was merely reading the prepared statement without understanding it. His education and work experience does indicate he may not understand the allegation he made. The differences should be put in the right perceptive. LTH is a government statutory body operating under its own act that dates back to the early 1960s with a new law instituted in 1995. 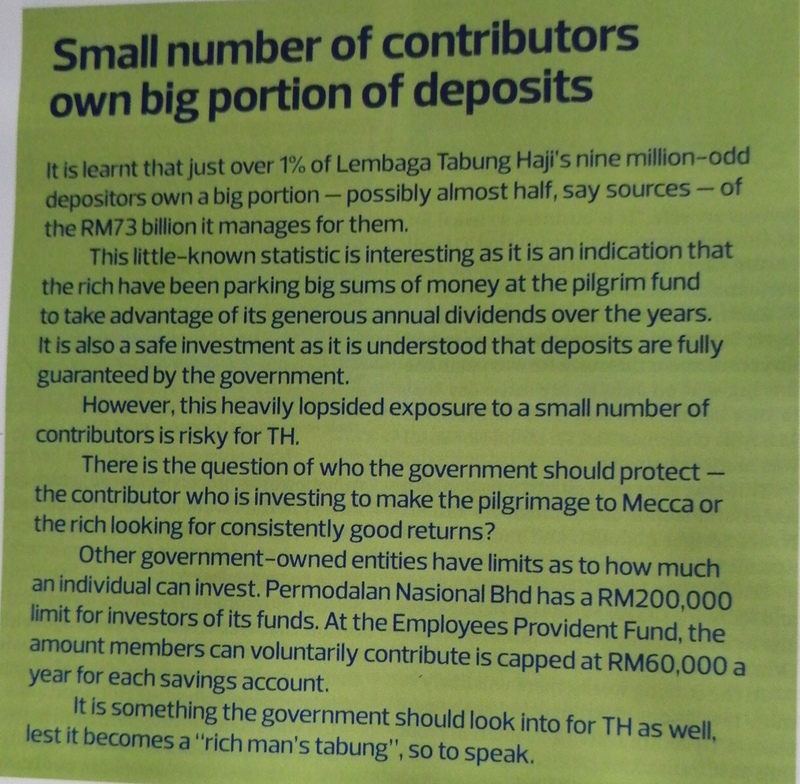 As such, LTH is not audited by any external accounting firm big or small 4, but by the Auditor General office. 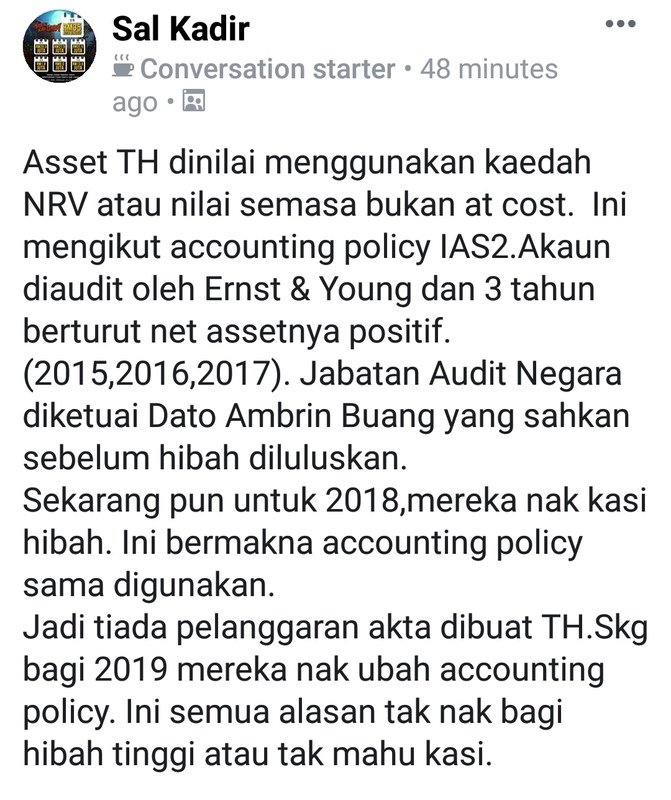 LTH accounting policies is determined by AG to conform with government practices, and not MASB. LTH do adopt certain MASB practises. When adopted, it remain consistently practiced. The process to adopt is a gradual adjustment as to disrupt LTH existing operation and cause unnecessary public panic. 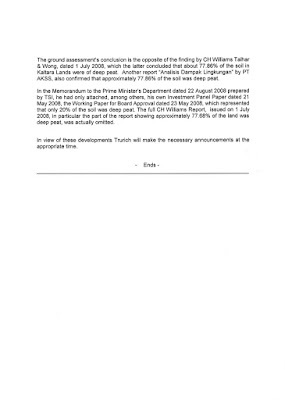 The issue of under declaring losses as claimed by PWC is a matter of their opinion but is not relevant. THHE can write off their losses at one go but LTH do not necessarily have to follow suit. Their policy as practised and it has been consistently practise is to stagger the writing off of losses. Nothing wrong there. 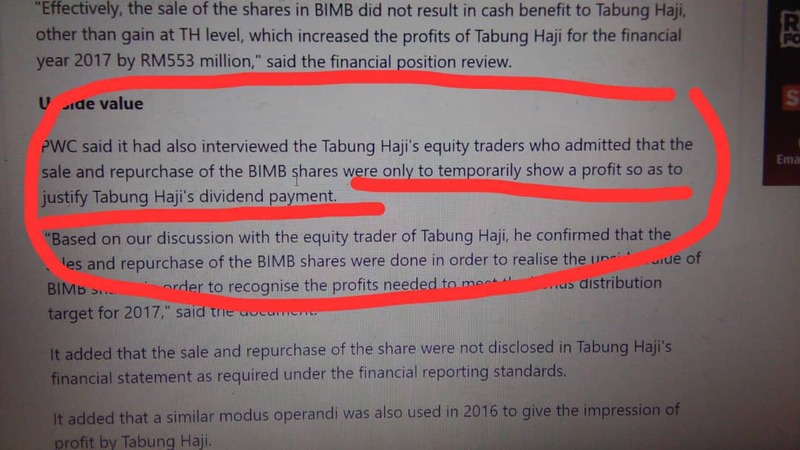 On the sale and buyback of BIMB shares, no idea what actualy happenned. The point is the AG - Tan Sri Ambrin to present Tan Sri Mardinah for 2017 account - confirmed LTH made profit, confirmed with the requirement of the act and can give out dividend. 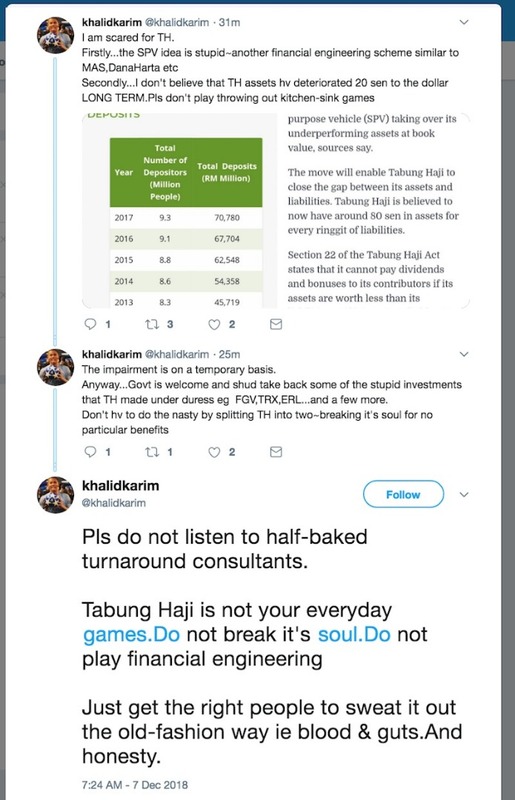 The laughable part of Mujahid and it reflects his earnestness to politicise to issue is his claim that TH account for 2018 will be OK and dividend will be paid. Is he not aware of oil palm prices and stock market continuous fall from 2 days before May 8th polling? 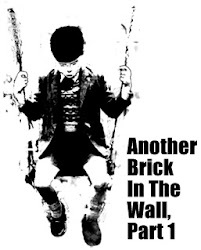 All these happening may have a certain insiduous reason and politics is not discounted. 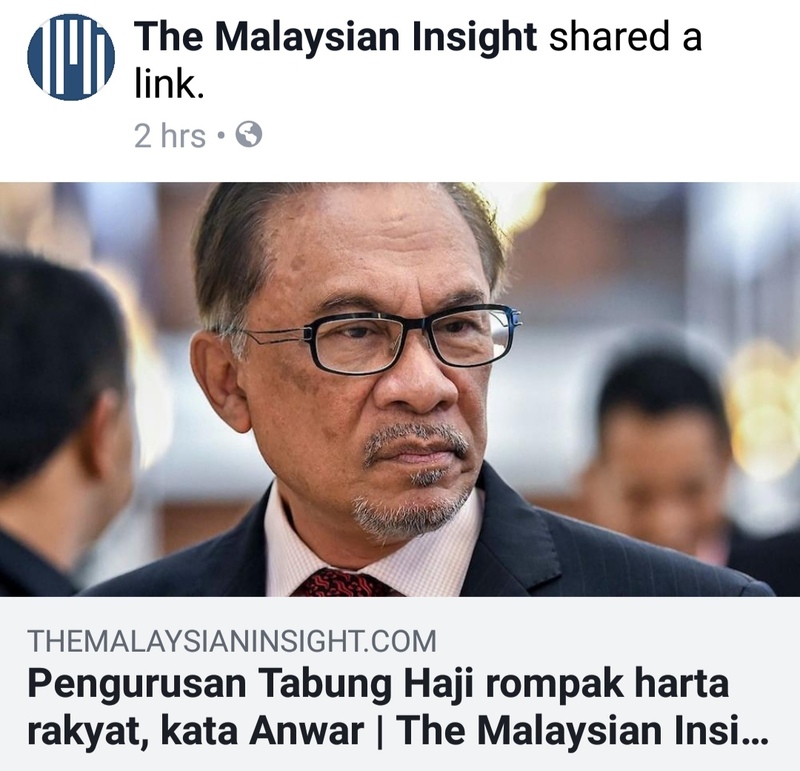 Really, does Anwar Ibrahim know what he is talking about to generalise and pass judgement! 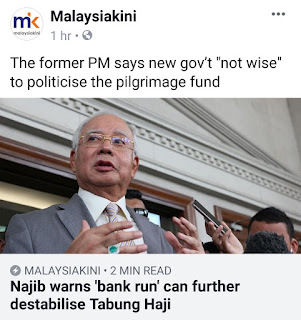 Love him or loath him, Najib is right. 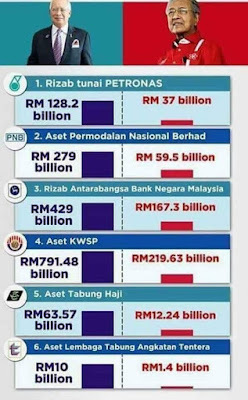 Some may accuse him as Robin Hood but under Najib, he built reserves everywhere. 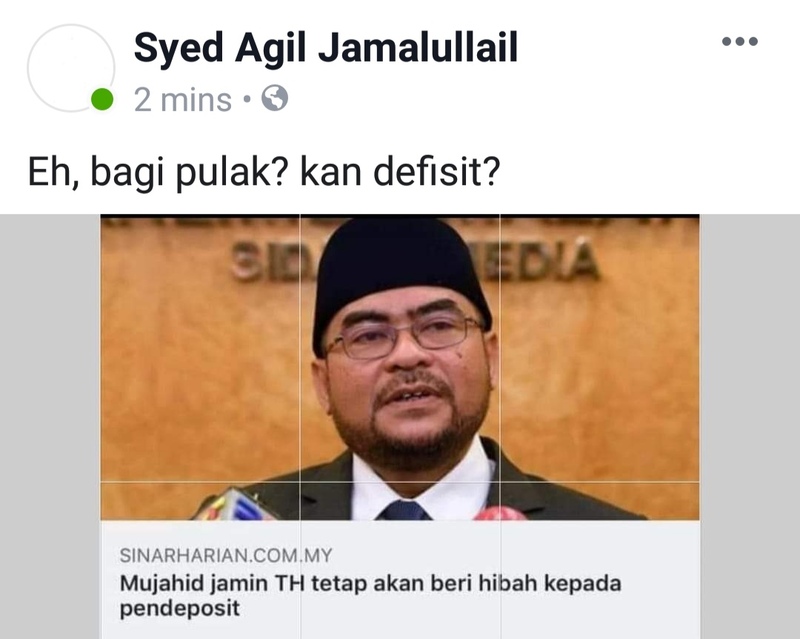 The thinking public is puzzled with Mujahid. Does it explain for the orchestrated attack? 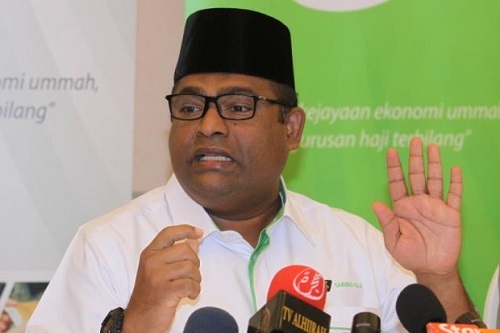 Mujahid announced Tabung Haji will be under the supervision of BNM. 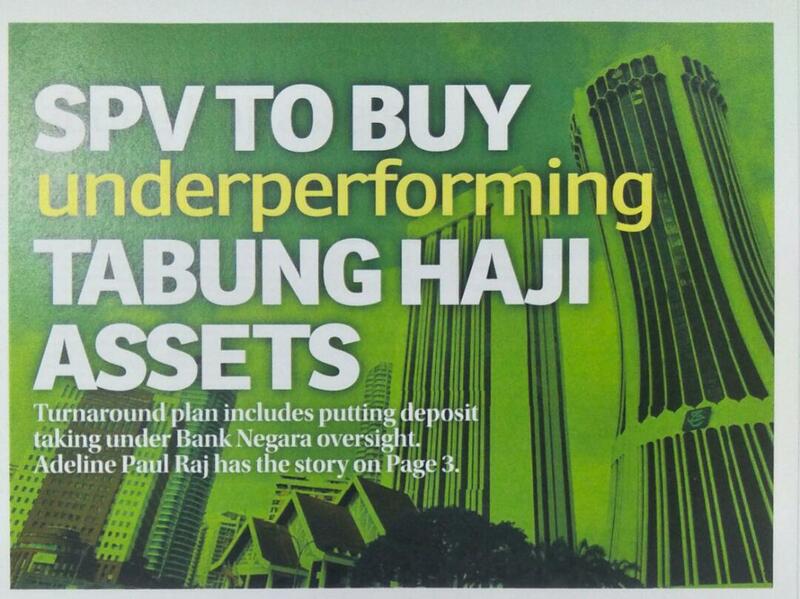 Edge Weekly article on deposit in Tabung Haji to be capped is confirm today. 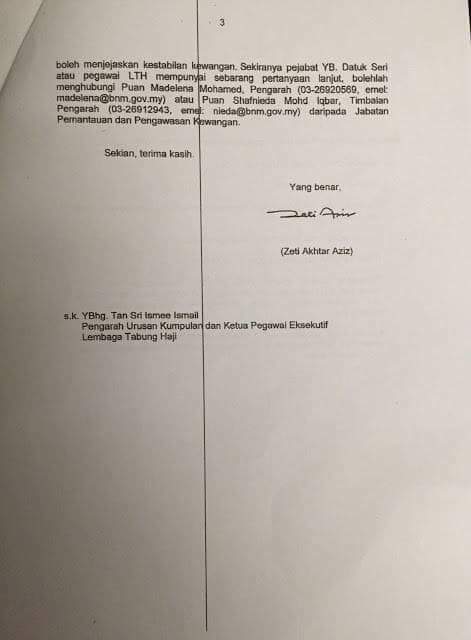 Refer back to Zeti’s 2015 letter as it seemed to be consistent to her letter. 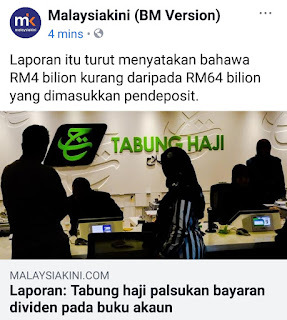 Apparently, that letter came about because Islamic banks (which are not only Bank Islam, Bank Muaamalat and Al Rajhi, but include conventional banks with Islamic bank subsidiaries) complained to BNM that they were unable to get deposits from Muslim. 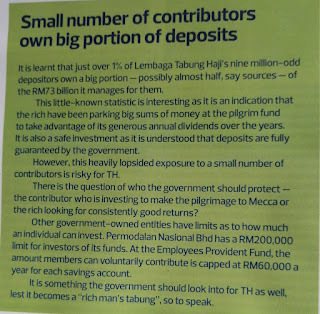 LTH scheme has government guarantee and it is investment, not savings. 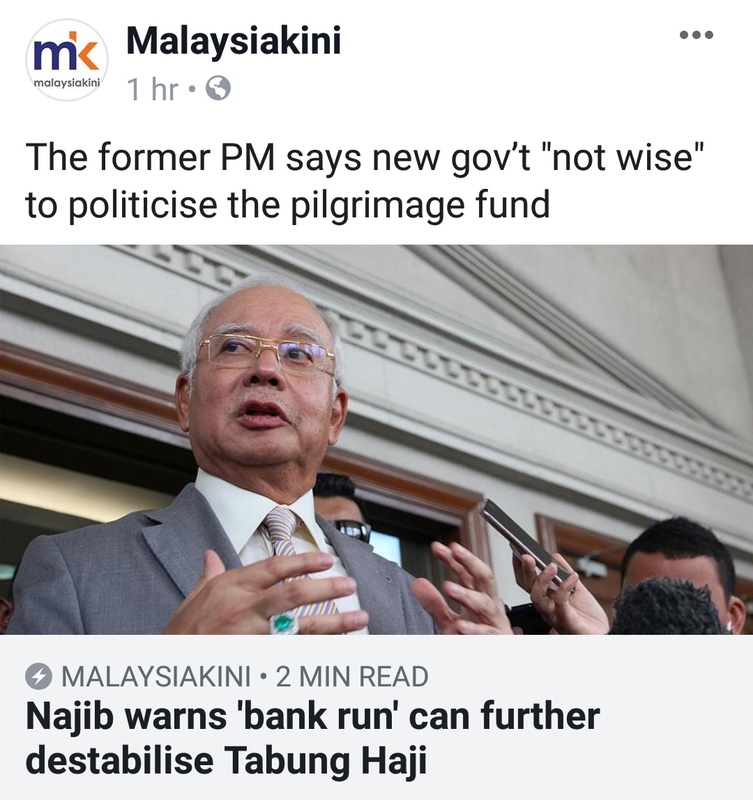 It is too good that it is difficult for Islamic Banks to compete and sttract large Muslim deposits. When the Islamic Banks entered the market, had they checked that LTH has been in existence since mid-1960s before there was anything called Islamic Bank? 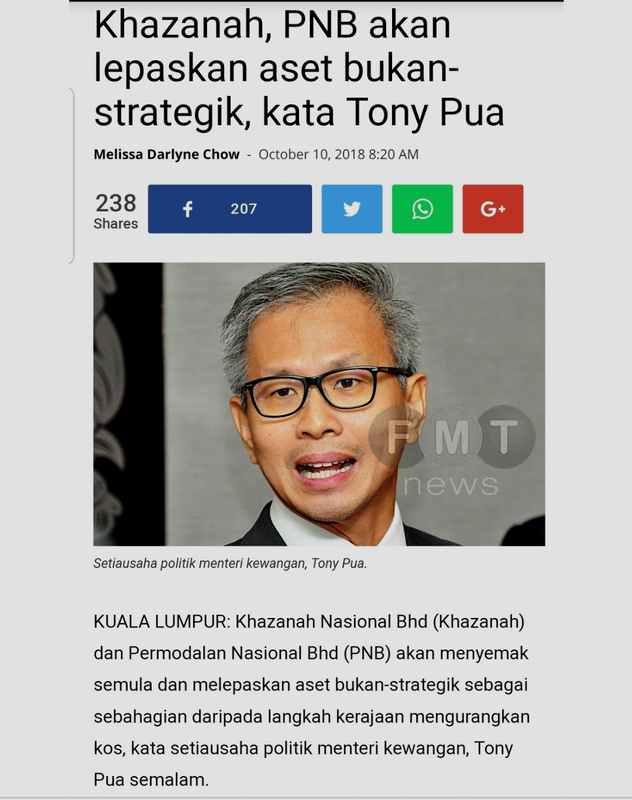 Was Zeti the ultimate manipulative Empress Dowager trying to destroy the institution that originated from a paper written by her father, Prof Ungku Aziz? 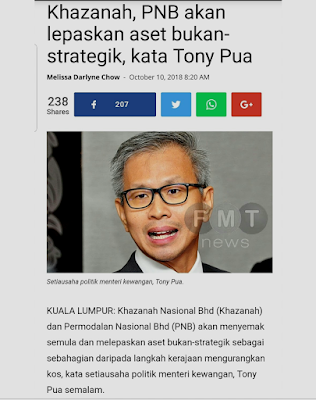 For one, she commented to agree with the plan to place LTH under BNM supervision, which was her intention from the beginning. A letter to Malaysiakini by a member of the Board of Director, Prof Dr Ashraf viral to explain "kawal setia". Maybe done at request of Empress Dowager. Asyraf listed a long resume to show is expertise and alim-ness. He pleaded the public to accept the new measures in good faith and tried to convince that the authorities have good intention. 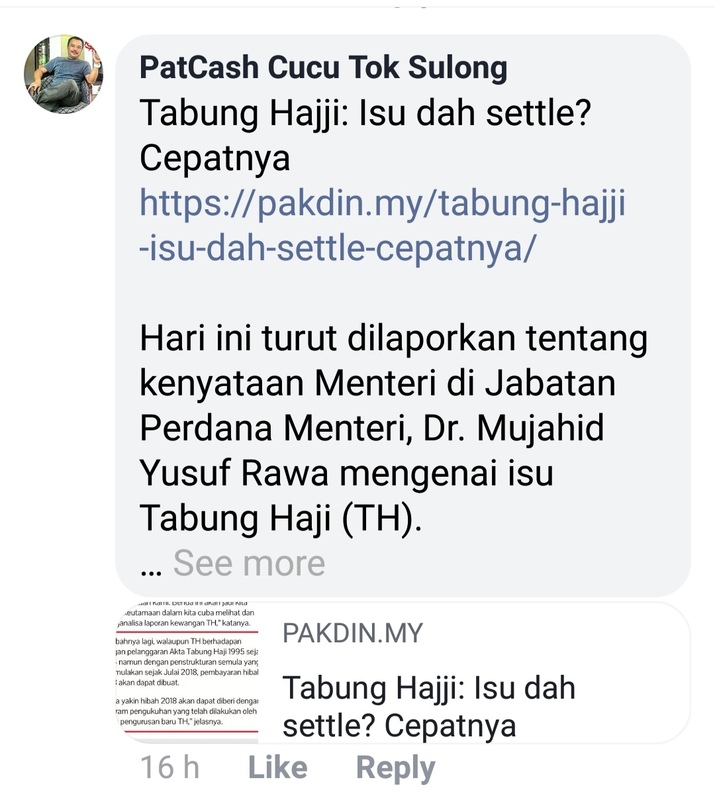 Tabung Haji is established under a specific Act. Perhaps, the ustaz should answer under what law or convention could BNM supervise LTH? Basel Convention or the Act governing Islamic Financial Institution? 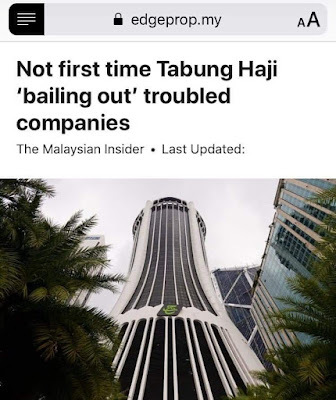 Maybe Trustee Act or Securities Act, but that is not BNM jurisdiction. 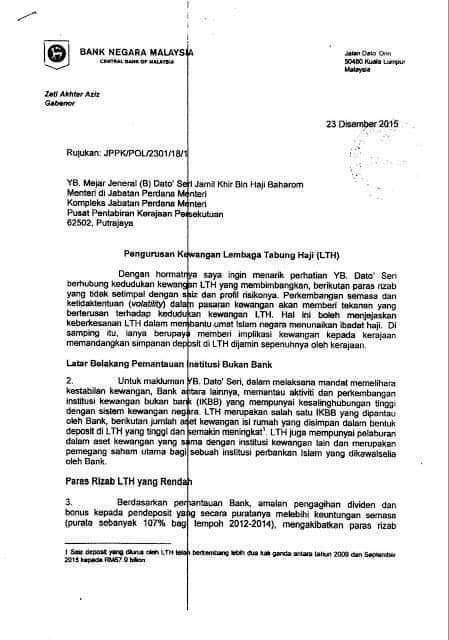 LTH is not a bank. Secondly, its activities are not borrowing and lending for it to require capital adequcy ratios, liquidity ratios, etc. 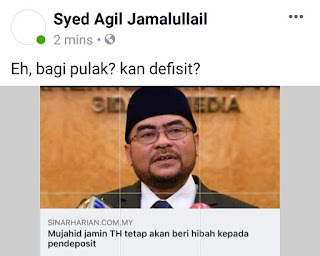 Former Minister Jamil Khir explained the reserve requirement for statutory body is different. Making it a financial institution limits the array of investment they could do. Msking them operate under Trustee Act or Secutities Act will limit their investment option to only cash, government bonds and trustee stocks. 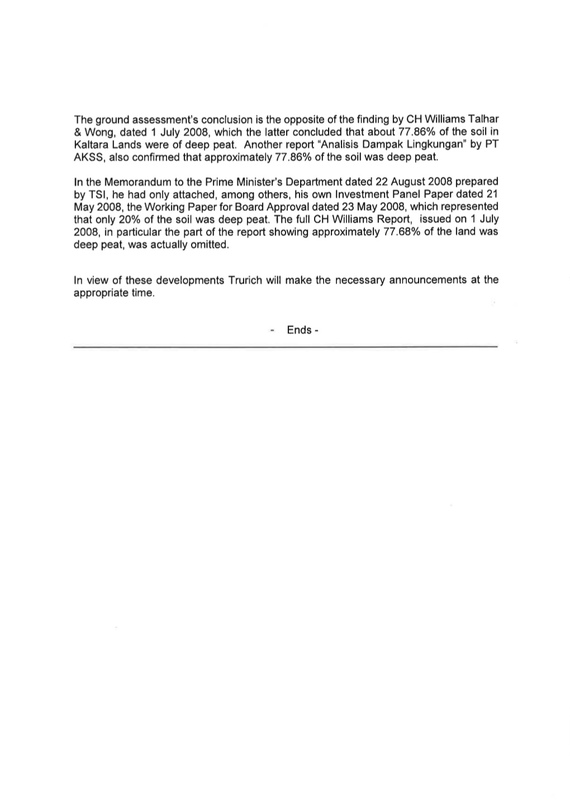 The 1995 act expanded LTH role. 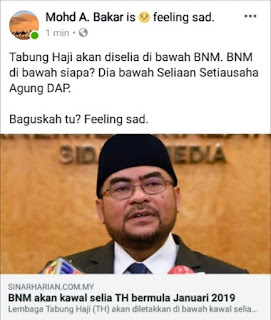 Actually, BNM is clueless. Top official could not answer the issues raised. Sources told us there is a gag order by BNM to those in the know from talking about BNM limitation. Warning is more accurate! 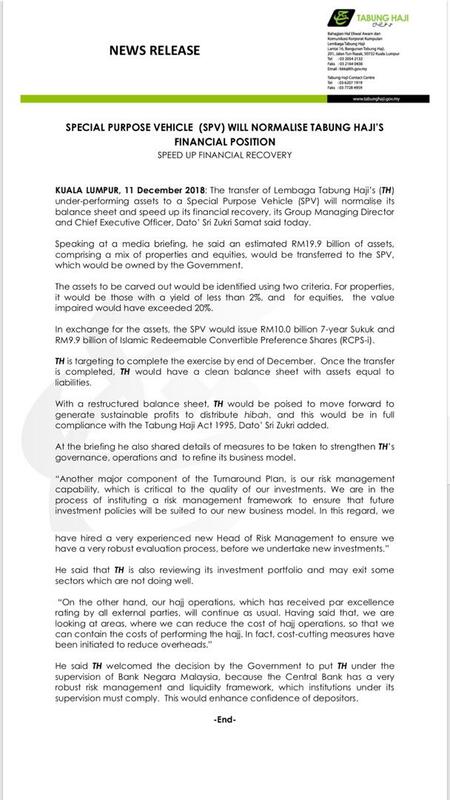 BNM preempted the embarrassment to say they could only advise but the decision is left to the Management and Board of Directors of LTH. When Mujahid mentioned dividend will be paid this year, he knew of the plan to do an SPV and the manipulation plan to allow LTH to pay dividend despite the obviously unprofitable year. About the SPV, see the chart below. 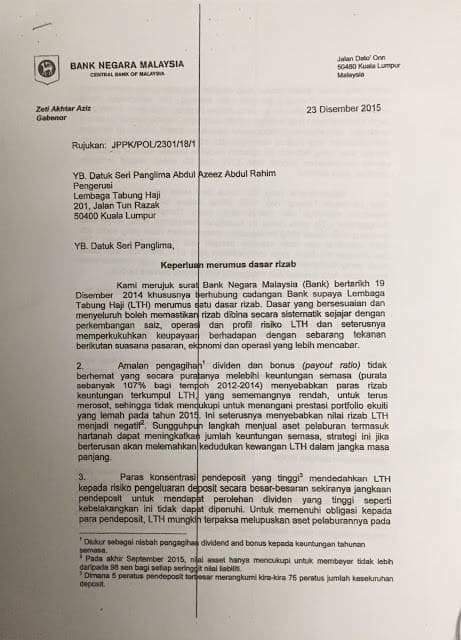 LTH will sell their losing asset to SPV, and paid by issuance of a sukuk bond. 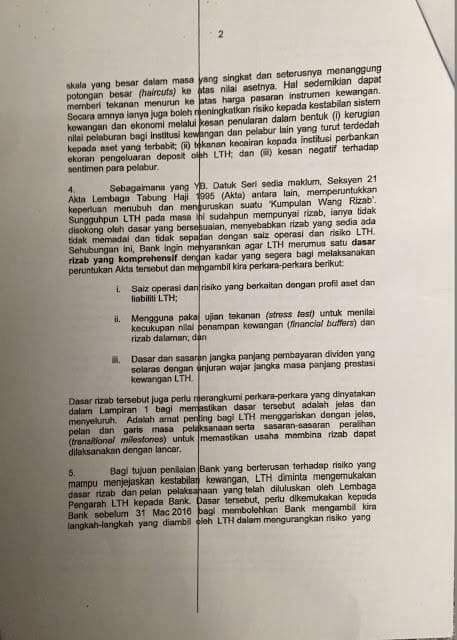 It means LTH sold their assets and fund the buyer to buy their asset. SPV is owned by MOF, who could emulate Danaharta to sell the asset as they please and to anyone they please without any obligation to return the proceed to LTH. 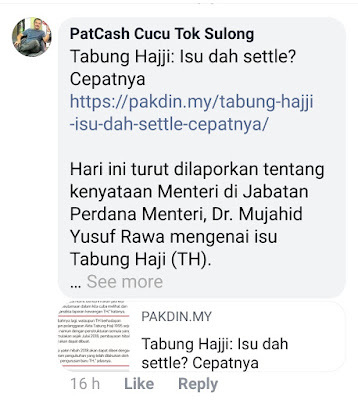 The issue on the SPV is not because it will be under the control of Lim Guan Eng and Tony Pua, who lost in the Selangor DAP party election. 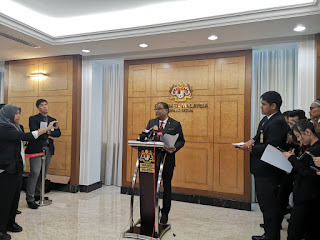 Mujahid said the shortfall is about RM4 billion, but one should be concerned as to why RM19. 9 billion was transfered to the "pirate vessel" . 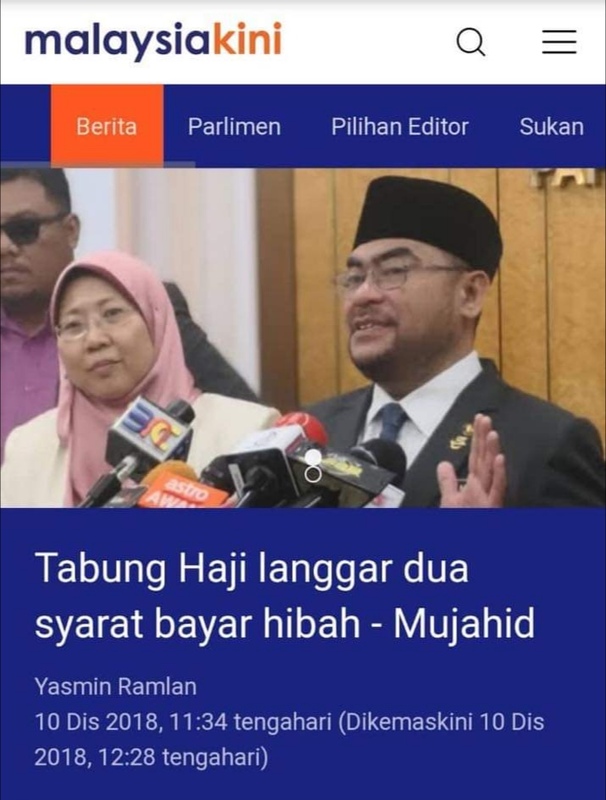 This Mujahid is really blind. The Board member with the expertise in syariah thinks he has a good heart, but is actually naive. 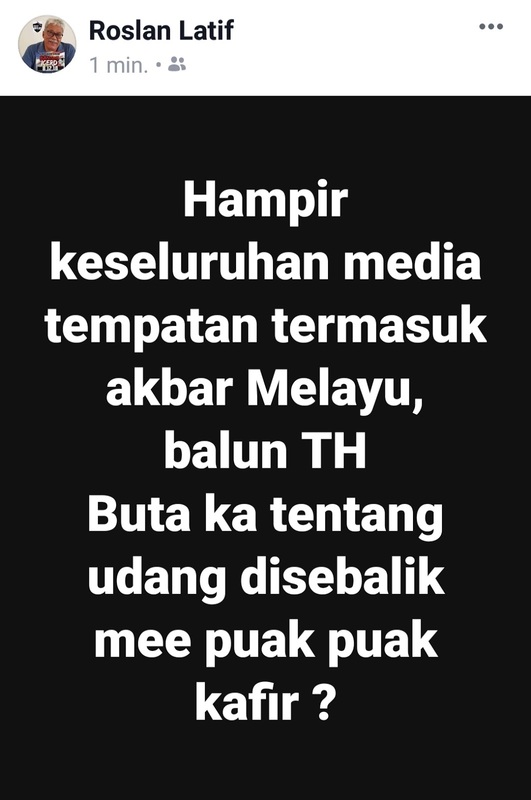 Berapa pusingan LTH mahu ditipu dan di kencing melalui cara SPV? ABITW, I have been perusing TH's account for 2012 to 2017 that are available at TH website. 2) TH PnL registered losses. 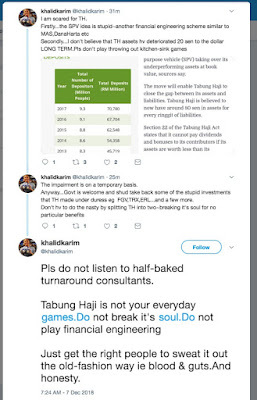 Laporan media The Edge mengesahkan Tabung Haji jual tanah TRX kepada Syarikat Tujuan Khas (SPV) pada kos asal di bawah Kementerian Kewangan. Harga dibayar oleh TH untuk beli tanah ini ialah RM188.5 juta pada tahun 2015. 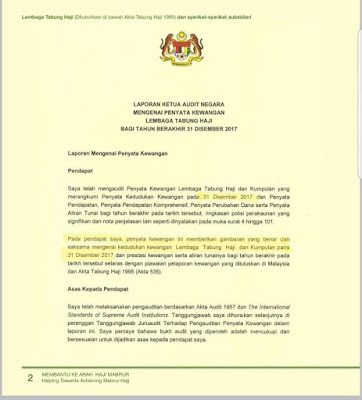 Pada bulan April, TH pernah mengeluarkan kenyataan bahawa harga tanah ini sudah naik harga kepada RM205 juta selari dengan kemajuan projek TRX yang semakin membangun sebagai lokasi perniagaan terunggul di Malaysia dengan bangunan tertinggi di Asia Tenggara. 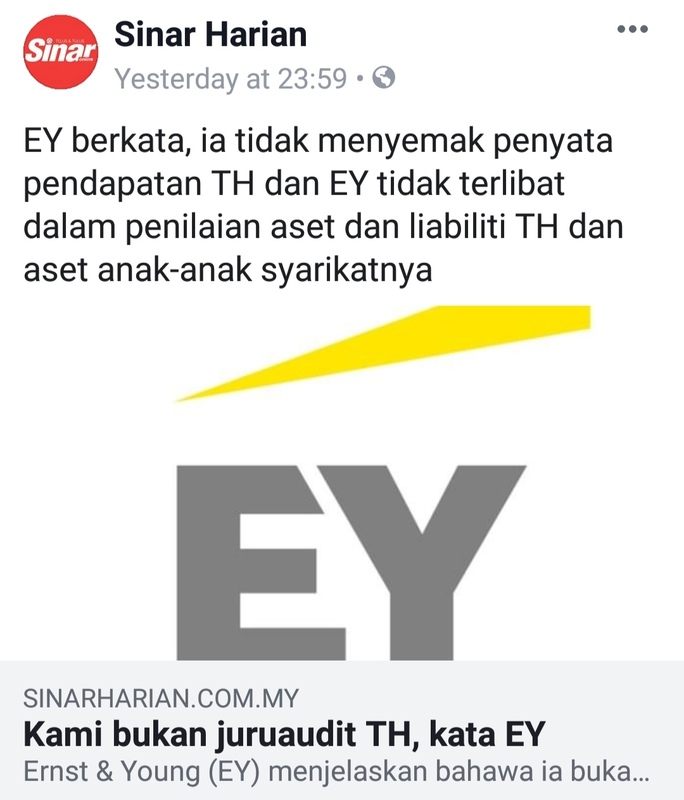 Ketika itu, TH umumkan bahawa anak syarikat mereka iaitu syarikat pembinaan TH Property Sdn Bhd akan membangunkan hartanah tersebut dengan Nilai Pembangunan Kasar (GDV) RM900 juta dan memberi keuntunggan beratus juta kepada TH. Kini, akhbar The Edge melaporkan TH Property Sdn Bhd tidak akan terlibat dengan projek pembangunan ini kerana tanah sudah dijual dengan kos asal RM188.5 juta kepada syarikat SPV Menteri Kewangan. 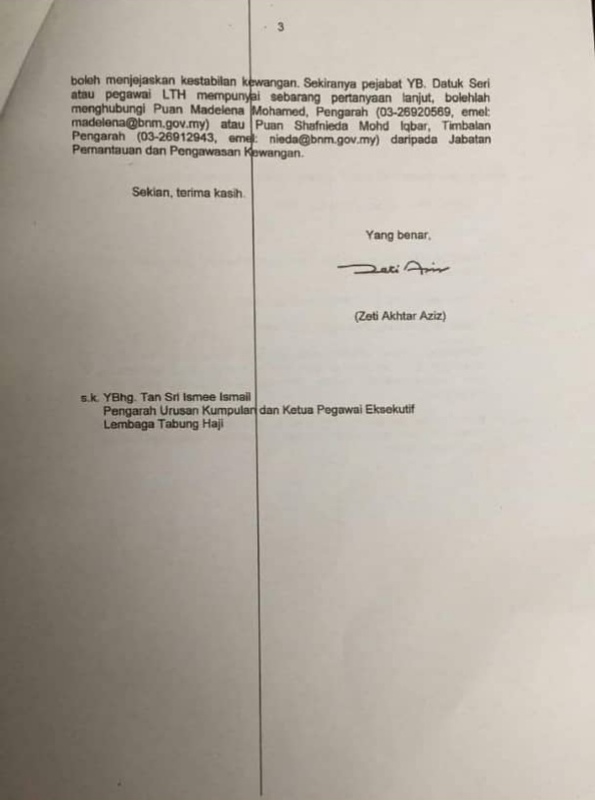 Sebaliknya, syarikat SPV yang akan membangunkan projek ini dengan sendiri ataupun secara usahasama dengan syarikat lain yang mungkin akan dari pihak swasta. 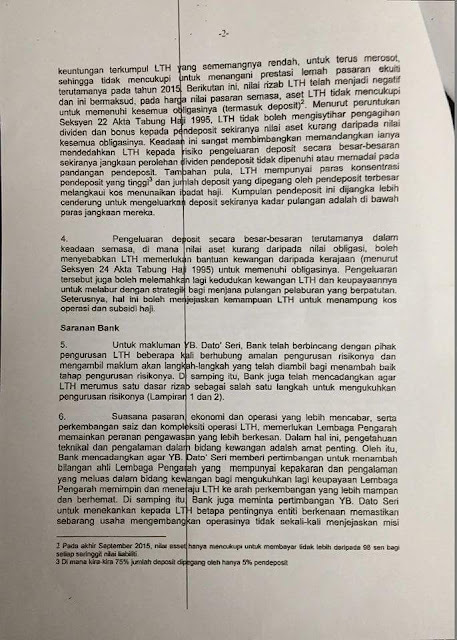 Syarikat mana dan siapa yang akan menjadi rakan usahasama kepada SPV ini? Siapa yang percaya tanah TRX ini tidak ada potensi atau tidak mungkin memberi pulangan yang lumayan? 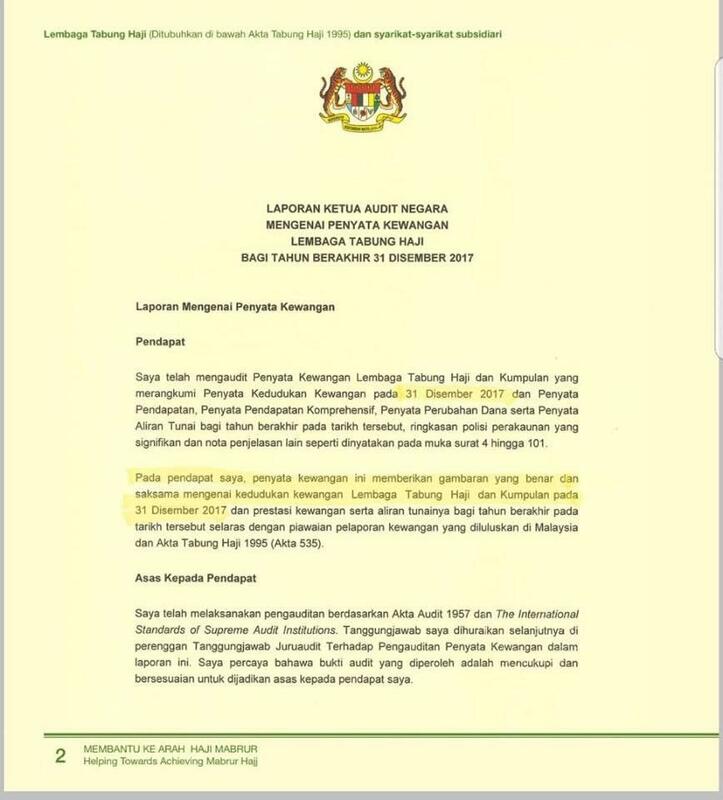 Yang patut meraih nilai RM900 juta dan keuntunggan beratus juta untuk tanah TRX ini sepatutnya TH tetapi kini untung ini akan dikaut oleh pihak lain. Pada asasnya, kaedah untuk mewujudkan SPV ini ialah TH meminjam RM19.9 bilion kepada SPV supaya SPV boleh membeli aset-aset bernilai RM19.9 bilion pada nilai buku dari TH. Maksudnya, SPV itu pinjam dari TH untuk beli aset TH dan mengaut keutunggan bersama rakan usahsama mereka dari aset TH. 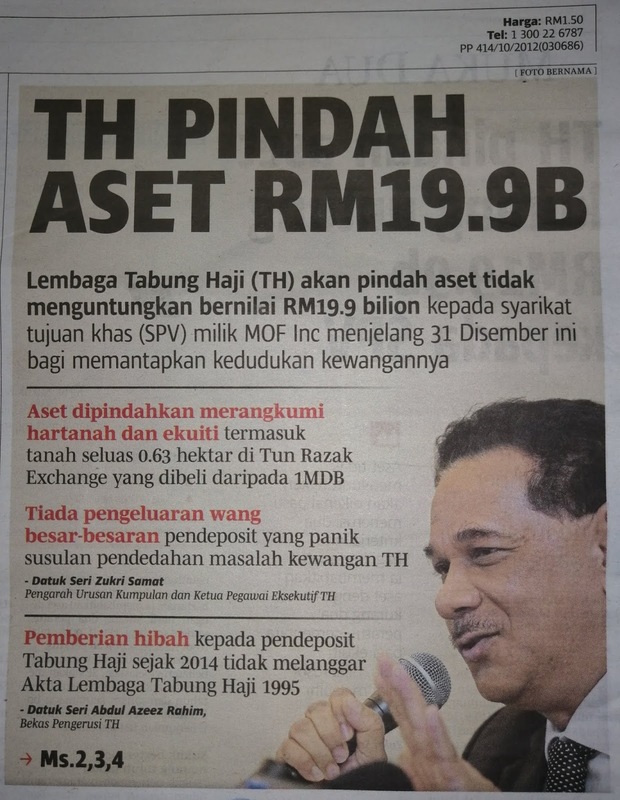 Transfer of TH Assets to SPV.Is this the best approach? 2. 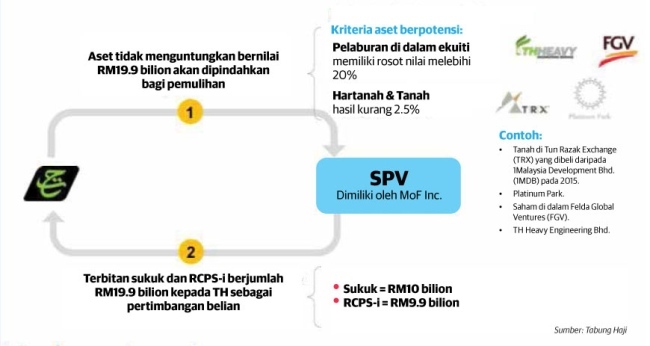 "Underperforming" assets worth RM19.9B will be transferred to SPV managed by MOF.RM17.4B of the assets consists of equity and another RM2.5B of assets of properties. Equity can be fast to be converted into cash. i)RM10 B of sukuk for 7 years with an annual yield of 5%.The sukuk is not guaranteed by the govt and non traceable. 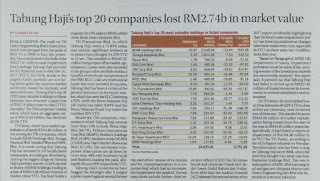 ii)RM9.9B islamic redeemable convertible preference share with no dividend and no maturity date. 4.For the above transfer, TH will not get any cash. 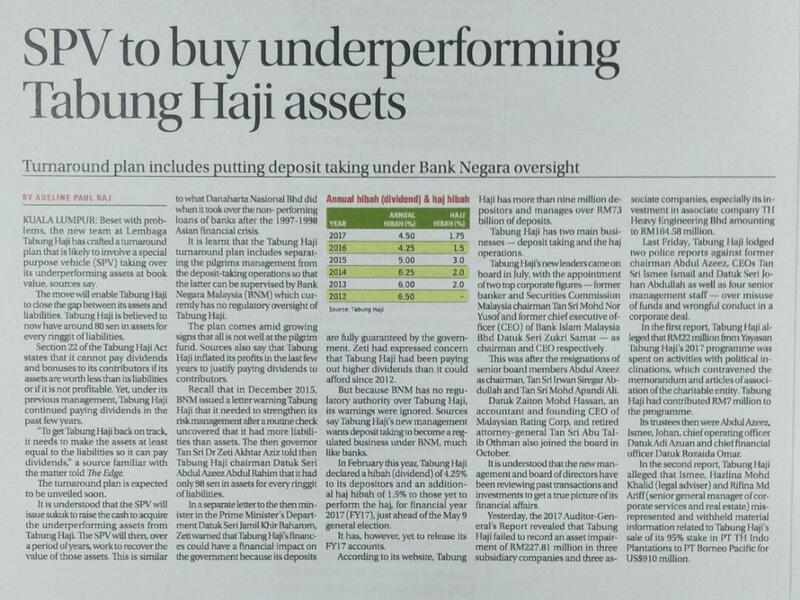 4.Beginning Jan 1, Tabung Haji will be supervised by BNM. Is this deal menguntungkan TH.???? 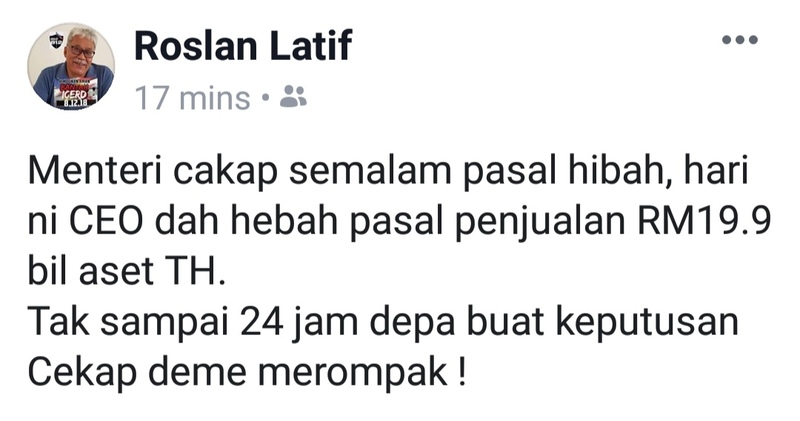 Saya rasa tidak. 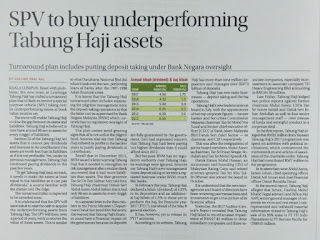 1.Untuk sukuk RM10B selepas 7 tahun, yield hanya 5% setahun dan untuk islamic redeemable convertible preference share, bergantung pada performance SPV. 2.TH no longer have control of the 19.9B assets.The control will be by SPV 100%. SPV can sell the equity and reinvest in another profitable portfolios. For the properties, SPV can sell or develop the properties for higher profit. 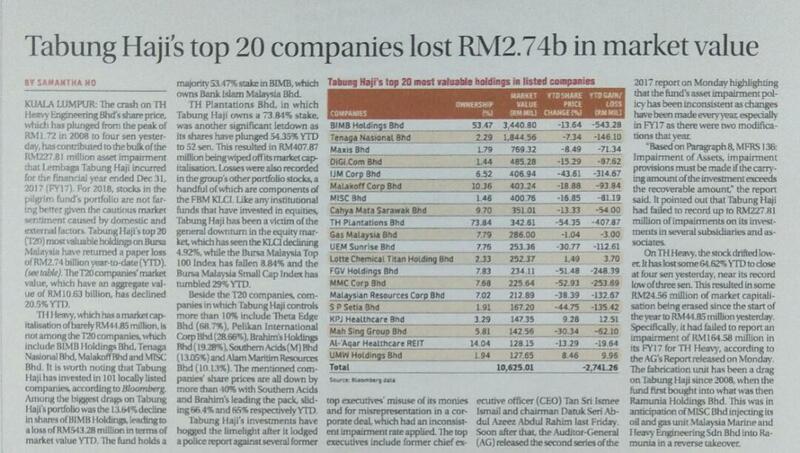 3.For the first 7 years, TH will not get nothing unless they redeem the sukuk n the share. 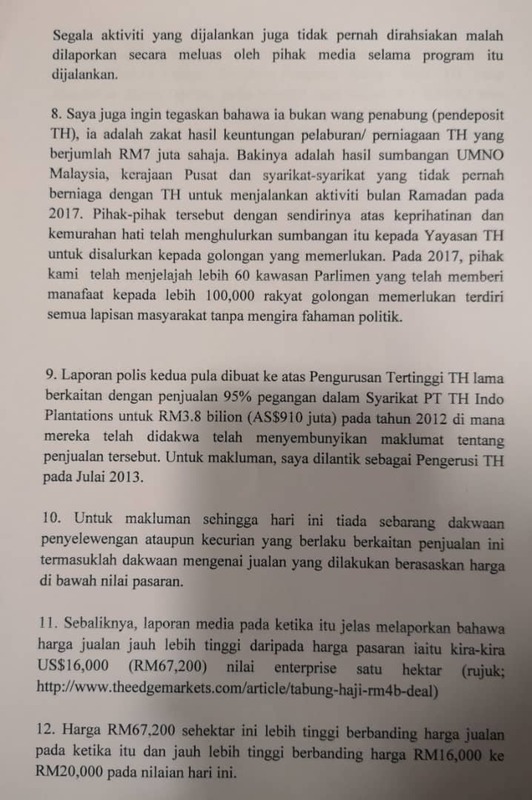 Deal ni akan menguntungkan SPV kerana dalam waktu yg singkat dan tanpa risiko, SPV have access to RM19.9 B TH assets. 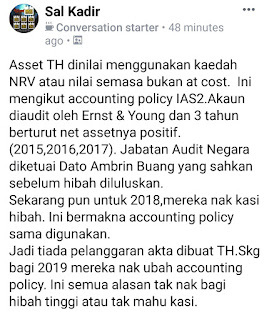 Puluhan tahun TH mengumpulkan aset sebanyak ni dan senang pulak dipindahkan ke SPV.Dengan asset sebegini, asset boleh dicairkan dan boleh digunakan untuk mendapatkan keuntungan dari pasaran saham.Lazimnya keuntungan pasaran saham akan melebihi yield 5% yg diberi sukuk.Semua keuntungan adalah kepunyaan SPV. Sebab pelaburan besar SPV, SPV boleh dictate the share market. 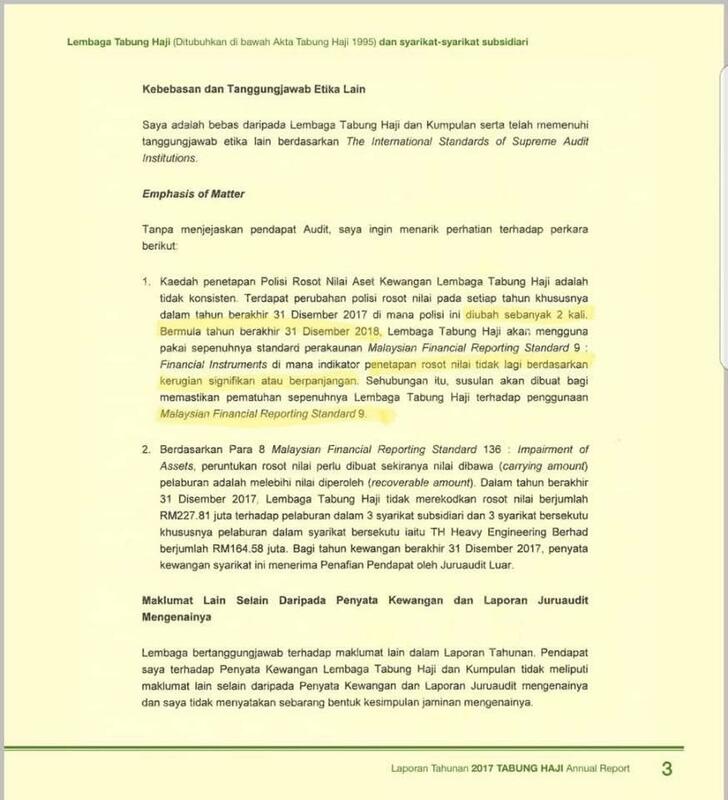 Daripada menguntungkan SPV, lebih elok kalau professional saham ditempatkan di TH untuk menyusun semula portfolios mereka. 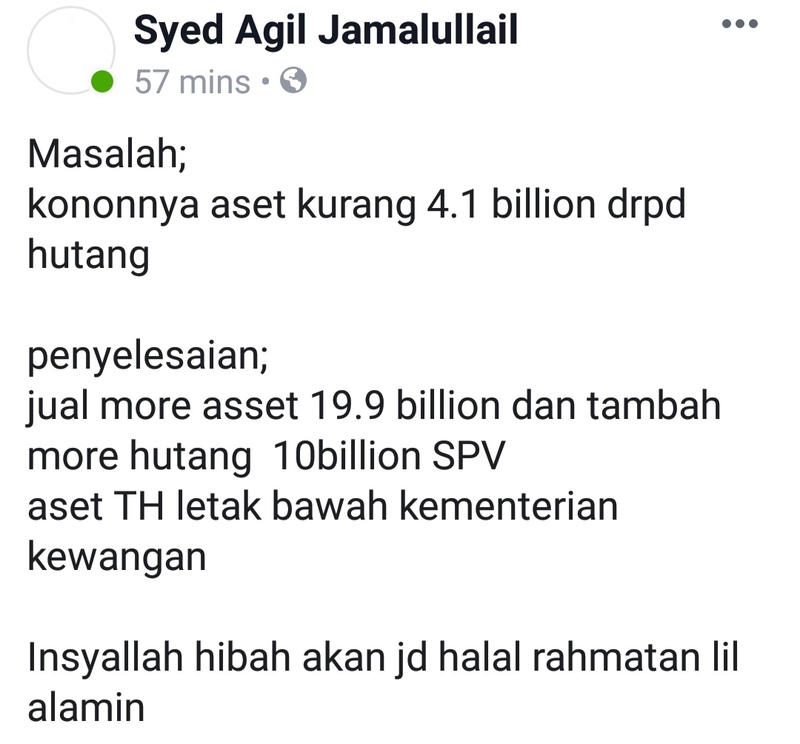 Tanpa SPV, juga akan menjimatkan kos penerbitan sukuk dan kos penerbitan preference share. 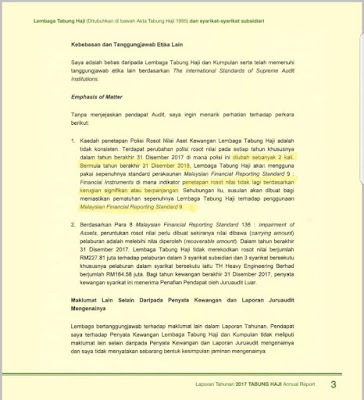 Approach mengadakan SPV bagi maksud untuk mendapatkan balance sheet yg cantek pada Jan 1 2009 mungkin valid untuk setahun. 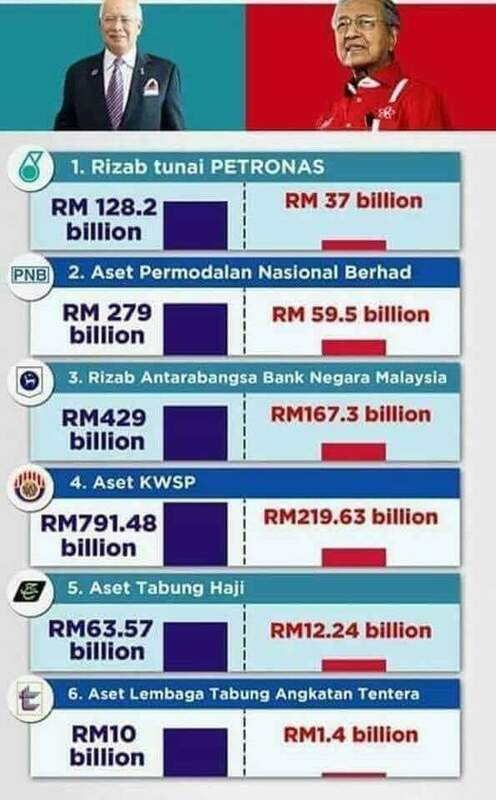 Saya tak faham kalau PWC sebelum ini peka pasal creative accounting sebelum ini, kenapa mereka mengesyorkan juga semata mata utk mendapatkan balance sheet cantik dan untuk justify pemberian dividen untuk tahun ini.Untuk tahun tahun yg akan datang, TH tak dapat dapat keuntungan dari sukuk dan preference share sehinggalah sukuk dan preference share ditebus. 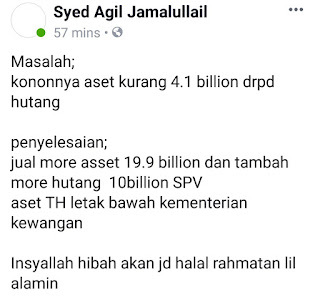 Saya percaya lebih elok selesaikan masalah ni at source (Tabung Haji) dan bukan mengadakan satu lagi SPV kerana ianya mungkin merumitkan pemulihan TH. Sebagai pendeposit TH, kita nak TH yg untung bukan SPV yg untung. It is believed that his arrest is in connection with the probe by the Malaysian Anti-Corruption Commission surrounding the use of Tabung Haji’s interior decorator contractor to build wardrobes at his house. 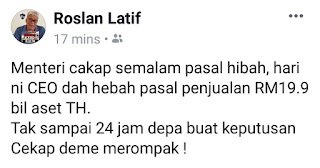 Masih kes2 petty seolah2 saja nak kenakan LTH. Nampak sangat. Byk kes besar. Kejar yg itu.